The Deep Submergence Rescue Vehicle (DSRV) Avalon is one of only two rescue submarines built for the Navy by the Lockheed Corporation. On December 23, 1941 the Japanese attacked and sank the Union Oil tanker, Montebello, off the coast of Cambria. 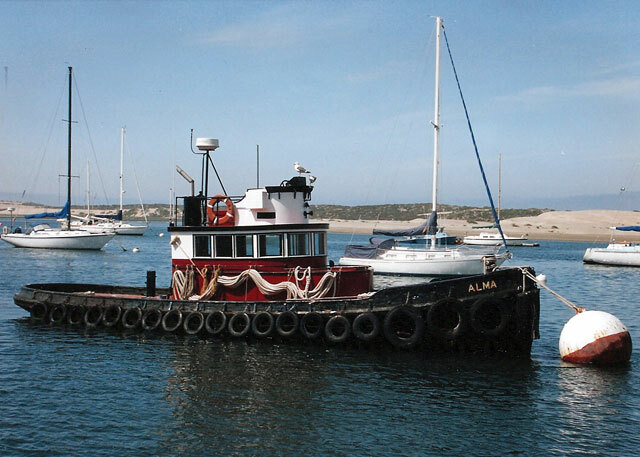 The tug boat, Alma, now moored in Morro Bay at the Morro Bay Maritime Museum, sailed to the rescue under the command of Captain Merle Molinari, rescuing 22 men from the tanker’s lifeboats. The Alma is just one of the historic vessels on display at the Morro Bay Maritime Museum in Morro Bay. Volunteers have spent hours crawling above and below decks and over original 1927 hand-hewn oak planks restoring Tugboat Alma. 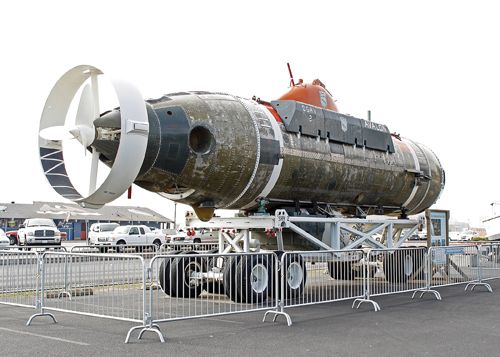 The Deep Submergence Rescue Vehicle (DSRV) Avalon, is one of only two rescue submarines built for the Navy by the Lockheed Corporation and was designed to rescue crews of downed submarines. The Avalon was used for research and training around the world and more than $10,000 was raised to obtain and transport the vessel to Morro Bay. The United States Coast Guard (USCG) surf rescue boat, CG-30615. Surf rescue boats were built for the USCG by the Willard Boat Company in Southern California between 1980 and 1990. The boats were designed for rescue in moderate to heavy sea conditions. The CG-30615 was built in 1983 delivered to Morro Bay in 1996 after service in the Gulf Coast and the Pacific Northwest. The Spindrift, one of the few surviving Monterey style commercial fishing vessels that were in use from the 1920 through the 1960s. The hull shape, derived from the Mediterranean Felucca, was introduced to the west coast by Italian immigrants. The Spindrift was built by Genoa Boat Works near Fisherman’s Wharf in San Francisco. The museum has been preserving and interpreting the maritime history of California and beyond since its beginnings as the Central Coast Maritime Museum Association in 1995. Along with the current fleet that is on exhibit, the museum is involved in bringing a variety of visiting tall ships to Morro Bay for special events. In September 2018 the museum announced the installation of a permanent weather station at the museum site on Morro Bay’s Embarcadero. The museum is located at 1210 Embarcadero in Morro Bay. Hours are Saturdays from 10-5. 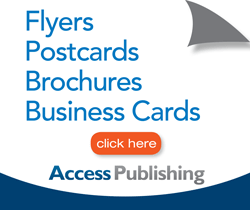 For more information call (805) 225 -5044 or visit the Morro Bay Maritime Museum at https://morrobaymaritime.org.